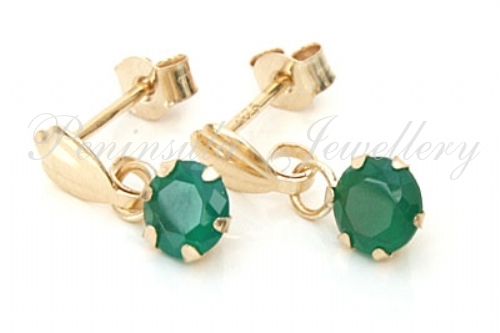 Elegant and dainty little drop earrings featuring 4mm round brilliant cut claw set Green Agate gemstones, with 9ct gold fittings. 10mm drop. Marked 375. Made in England. Presented in a luxury gift box.